We always hear Christians say things like “I have been doing everything right. I have been fasting and praying, giving, loving my neighbor, obeying the Lord, reading Scripture daily, and walking faithfully with the Lord. What did I do wrong? Why has God allowed me to go through such hard times? Does He not care about me? Am I saved?” To be honest we have all felt a little something like this. Here is what I have learned on my walk of faith. Be on guard because when you’re asking all these questions and questioning God, Satan will try to attack. He will say, “no he doesn’t love you. Look at those unbelievers who are not going through adversity, but you say Jesus Christ died for you, and yet you are going through the worst troubles of your life.” Don’t let the devil give you fear. 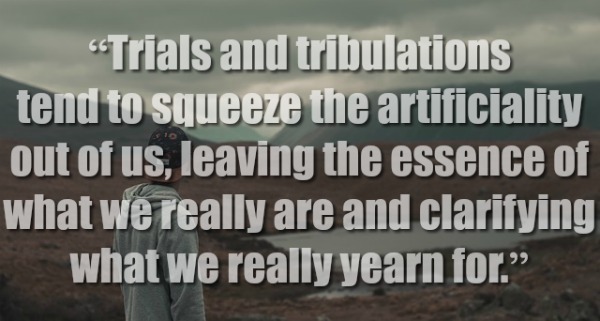 Trials can lead into atheism. When your faith is small the devil can rip it out. Don’t let him put you in despair and bitterness towards God. Don’t ever forget the other times God has delivered you because He will do it again. The devil will try to say it was a coincidence, but with God there is no coincidence. Cry out to God. Block Satan off and always remember that we have victory in Christ. 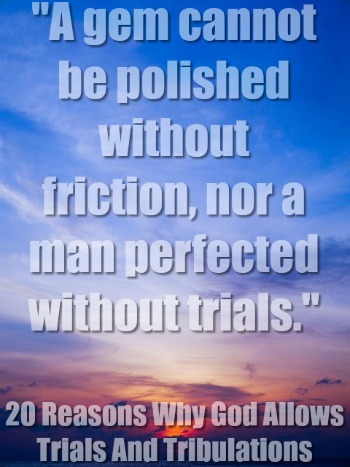 What does the Bible say about trials and tribulations? Think of trials as training! God has to train His troops. Have you ever heard of any staff sergeant who got to where he was without going through tough situations? God has to prepare His children for the future. I remember when I said, “why God, why this, and why that?” God told me to wait for His timing. 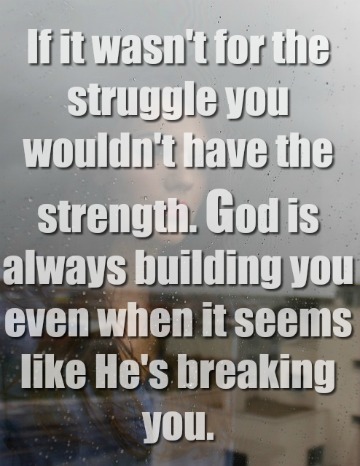 God has delivered me in the past, but when you are going through bad times all you’re thinking about is right now. I’ve seen God use trials to build me up, answer different prayers, open doors, help others, and I’ve seen many miracles where I knew it was only God who could have done this. While I was worrying, the Lord gave me comfort, encouragement, motivation, and He was working behind the scenes. If as believers we’re burdened by when our brothers and sisters suffer, imagine how God feels. Always remember that He loves you and He reminds us time after time in His Word that He will never forsake us. 3. Sometimes we suffer because of our own mistakes. Another thing is we should never test God. 7. God wants to spend time with you, but you lost your first love. You’re doing all these things for Jesus, but you’re not spending quality quiet time with the Lord. 8. 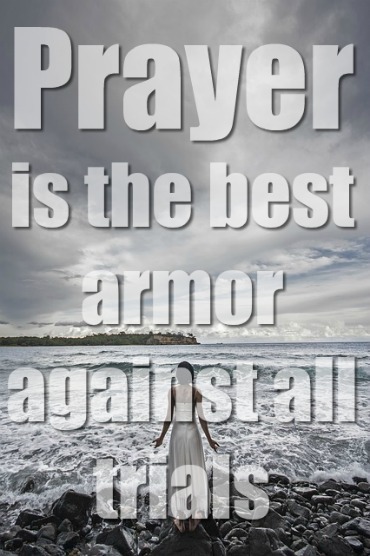 God could be protecting you from a bigger problem that you don’t see coming. 9. So we can share in the sufferings of Christ. 1 Peter 4:12-16 Dear friends, do not be surprised at the fiery ordeal that has come on you to test you, as though something strange were happening to you. But rejoice inasmuch as you participate in the sufferings of Christ, so that you may be overjoyed when his glory is revealed. If you are insulted because of the name of Christ, you are blessed, for the Spirit of glory and of God rests on you. If you suffer, it should not be as a murderer or thief or any other kind of criminal, or even as a meddler. However, if you suffer as a Christian, do not be ashamed, but praise God that you bear that name. 10. It helps us grow as believers and become more like Christ. 11. It helps with developing character. 12. Trials help to build our faith in the Lord. 13. God’s glory: The storm will not last forever and trials are an opportunity for a testimony. It gives God so much glory when everyone knows you’re going through a tough trial and you stand strong, trusting in the Lord until He delivers you, without complaining. 14. You can help someone because you have been in that situation. Throwing around Scriptures will be hard to understand for someone who is grieving, but you can comfort them because you have been through the same thing and through the pain you trusted in God. 15. Trials give us a greater reward in Heaven. 16. To show us sin in our lives. We should never deceive ourselves and try to hide our sins from God, which is impossible. 17. To remind us that it is God who is always in control. 18. Trials increase our knowledge and they help us learn God’s Word. 19. Trials teach us to be more thankful. 20. Trials take our minds off of things of the world and put them back on the Lord. Stop saying, “I’m going to pray” and actually do it. Let this be a start to a new prayer life you never had. Stop thinking you can do things on your own and trust in God. Tell God “I can’t do it without you. I need you my Lord.” Come to Him with all your heart. “God help me; I will not let you go. I will not listen to these lies.” You must stand strong and have faith God can bring you through it even if it seems impossible.